Select shop Arts&Science owner Sonya Park directed the creation of this English-language Hobonichi Techo book, which has been refined and simplified to make it easy to use in all countries and languages. It still contains all the beloved features of the Original Japanese edition, such as the compact A6 size, one page devoted to each day, daily quotes, lay-flat binding, and more. 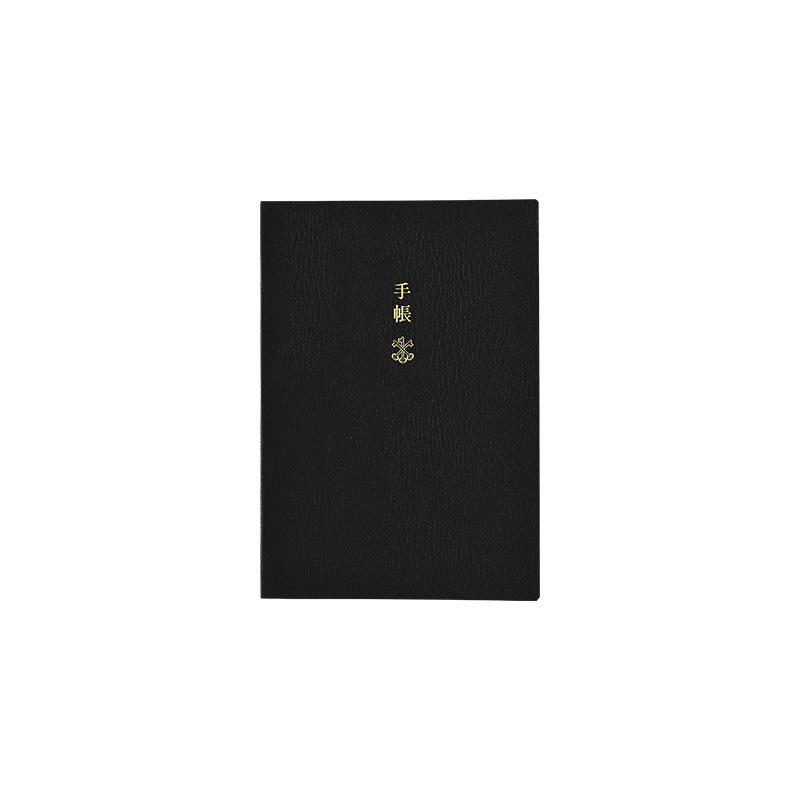 The book has a chic, black textured cover subtly engraved with the Japanese characters for “techo” alongside the Arts&Science logo. The book is also engraved with the year 2019 on the book spine. 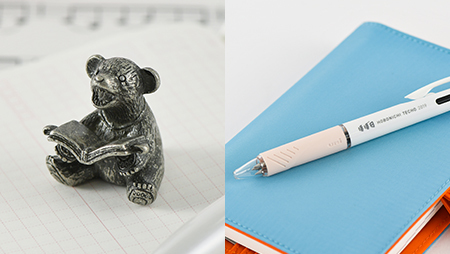 When you purchase the Planner in the Hobonichi Techo Official Store, the book comes with two free 2019 Hobonichi Store Exclusives: Not-Scary Bear Paperweight and a special Hobonichi Techo 2019 edition 3-Color Jetstream white ballpoint pen. Although the book looks handsome on its own, you can pair the book with a cover of your choice from our large selection of convenient A6 size Hobonichi Techo covers. When you purchase your Hobonichi Techo through the online Hobonichi Store or in person in Hobonichi’s Tobichi shop in Tokyo or Kyoto, you will receive free Hobonichi Store exclusive items. Here’s a list of the exclusives offered this year. W: 105 x H: 148 x T: 14 mm / W: 4.1" x H: 5.9" x T: 0.6"
*A blank two-page spread is featured at the very beginning of the book to provide a free area when starting out the book. *A page is included at the beginning of each month to help in planning ahead. *Every two-page daily page spread includes one daily quote. The Hobonichi Techo's Tomoe River paper is designed to prevent bleed-through, but some fountain pens and water-based ink pens are not compatible with this paper. When switching to a new pen, we recommend testing the pen somewhere in the book, such as the back memo pages, to see if the ink bleeds through or takes an especially long time to dry.